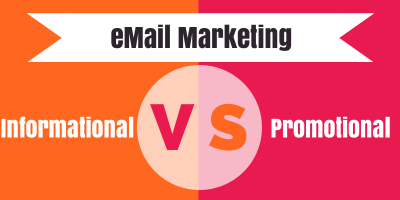 I often become frustrated when reading email marketing advice online. Many times I've thought, “I wouldn't recommend THAT to my clients.” Of course, while there may be a few best practices, if you want to stand out, you can’t do the same thing as everyone else. I used to think there was a clear division between promotional and informational marketing – specific strategies that applied to one or the other. While that is certainly true, the line is somewhat blurred. After all, our inboxes are full of things we call newsletters, advertisements, announcements... and spam. What we call these things often reflects how we feel about them. I've defined a successful newsletter as being useful or interesting, or both. I admit to a negative attitude about blatant advertising, yet I’m happy to find out about a networking event, or see the latest shoe styles. Those are products I’m interested in hearing about. And THAT is what will make your email campaign effective: finding readers who want what you’re offering, whether it’s interesting information or this week’s bargains.